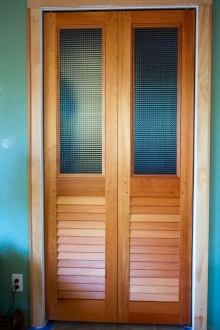 When ordering new interior doors having the correct measurements is very important. Just as important is to also let us know the type of opening. 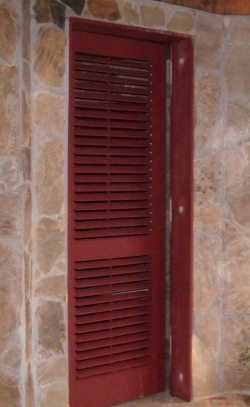 The type of opening can be either “Rough” or “Finished”. A rough opening is where the wall studs are exposed along the edge of the opening. You will see a rough opening when you are building a new wall (like you would do when refinishing a basement) or knocking out a wall to put in a new door. The rough opening still needs to be framed out so that the opening is square and flush with any drywall. In the picture to the left you can see how the opening has the exposed studs along the edge. 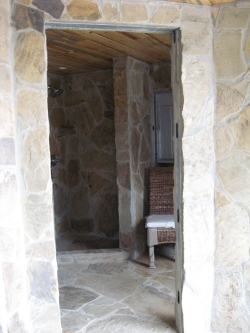 If you plan to install bifold doors or sliding doors you can square and frame out the rough opening with drywall. 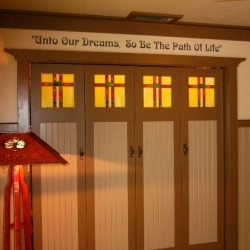 However, if you are going to be hinging the doors to the opening you will need a solid wood jamb. The reason for this is that the screws that hold door hinges need to be sunk directly into wood. For bifold and sliding door hardware the screws that secure the track are long enough to go through the drywall and into the studs. What is a Finished Opening? 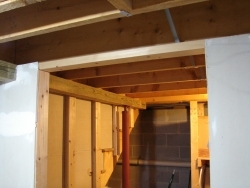 A finished opening is where the opening has been framed out and is ready for paint or stain. 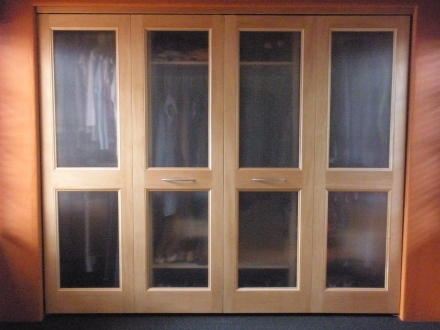 If you were to go through your home and look at existing closets doors and doorways you will be looking at examples of a finished opening. The opening can be finished with drywall, wood, metal or any solid, smooth surface. The idea is that the finished opening is ready for doors. Just be mindful that the hardware you want to use can be attached to material used to finish your opening. 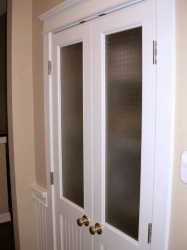 If you decide that you want to hang a hinged door on an opening that is framed with drywall ( or stone as shown below ) you would first need to install a wood jamb. 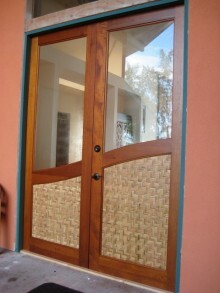 Once you have determined the type of opening that you have you can follow our online instructions on how to measure for doors. 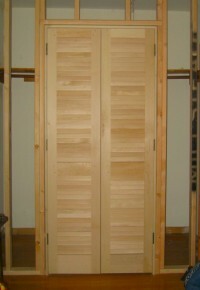 We can then use those measurments to make sure that your doors are a perfect fit for your openings.